We are manufacturers of custom precision spring: compression springs, torsion springs, extension springs, wire forms, rings and retainers. Featuring same day turnaround, quick prototyping, spring design assistance, JIT / Kanban stocking and various metal finishing options along with semi-automated packing capabilities. JonSpring Co Inc was established in 1985 by Jon and Constance Goff. 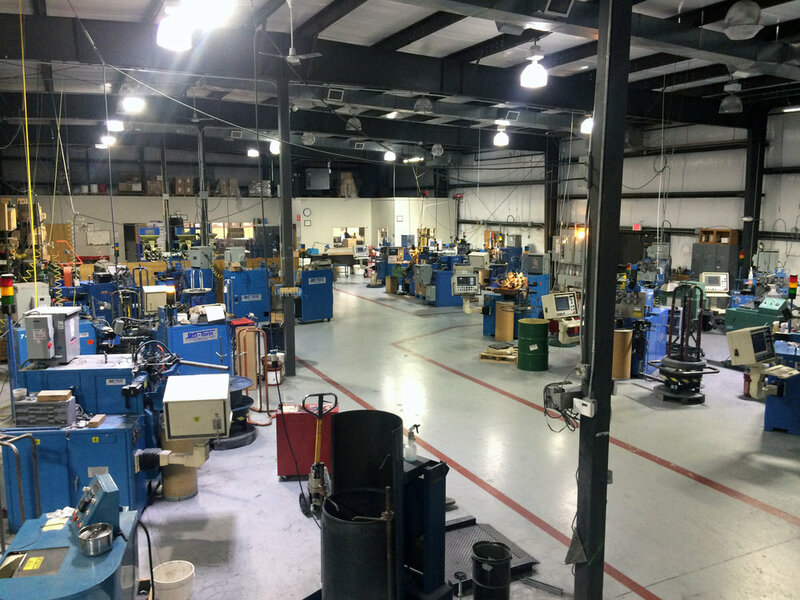 We are located in Springfield, Ma, where we have a manufacturing facility of 21,000 sq ft that was built in 2004. In 2015 Donald and Deborah Lyons acquired the company. Don brought more than 25 years of experience within the Spring industry to the team at JonSpring. The company has demonstrated excellent growth as we continue to expand our capabilities and product offerings for our customers. Today our capabilities include over 25 CNC multi-axes spring coilers and wire forming machines, 13 torsion winders, cost-efficient semi-automated packing equipment, a wide array finishing options, flexible ordering from single prototypes to ongoing Just-In-Time/Kanban supply chain fulfillment. We strive to provide the best quality and satisfaction by reinvesting a significant portion of our capital in updating our equipment yearly. A large segment of our clients discovered us through our responsiveness in quick prototyping and spring design assistance, especially given our ability to offer same-day turnaround thanks to our extensive custom CNC equipment and in-house tooling capabilities that positively differentiate us from our spring manufacturing competitors. Extensive capabilities, flexible processes, adaptable infrastructure and 30+ years of expertise, when combined with our staff, enable us to consistently deliver fast service, high quality and unparalleled cost-effectiveness, while proudly honoring our founders' legacy by striving to give our customers the best quality and satisfaction - that is our mission, exactly as envisioned by our founders in 1985.